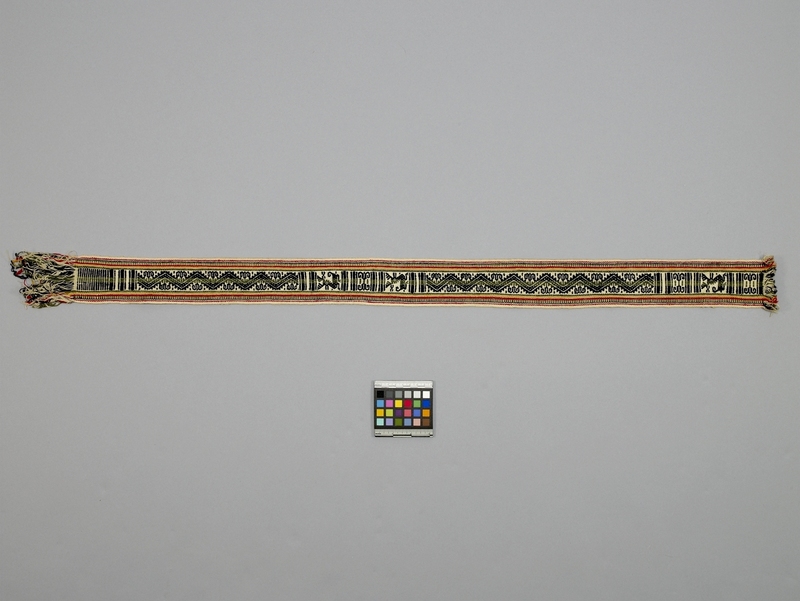 Item number H1.196 from the MOA: University of British Columbia. 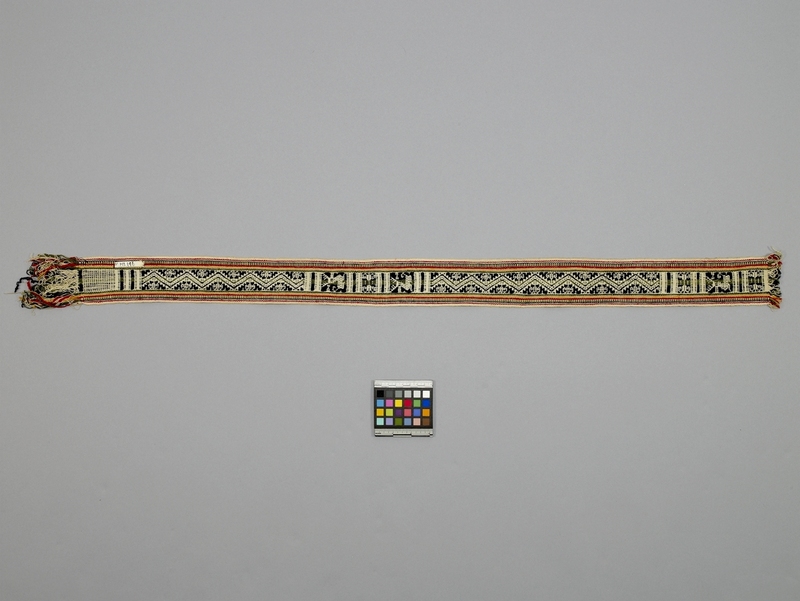 Sash with a zigzag motif and three antlered animal figures depicted in green and black on off-white ground along a centre band. The borders are green, blue, yellow and red. There is a short fringe at one end, and a longer fringe at the opposite end. Collected by Audrey and Harry Hawthorn.